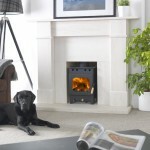 stoves Birmingham – We at York Fireplaces don’t just stop at fires – we also offer an extensive range of stoves, to suit all styles and budgets. Traditionally thought of as “old fashioned”, as you’ll see from the range we offer below, they have more than kept up with the times. Now, there as as many different variations on the stove as their are of the fireplace, ranging from traditional wood burning stoves, to cutting edge modern electric stoves. You can check out our full range below, or if you want to see them in the flesh for yourself, come down to our Birmingham based showroom. 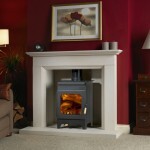 Our expert staff will be able to answer any and all question you may have on stoves. While not the traditional image pictured when thinking about stoves, electric stoves are a modern take on a traditional style, with great results. They combine the unique styling of stoves with the legendary reliability of electric fires. It’s a package that’s very hard to beat! York Fireplaces have sought out the best examples of the appliance, represented here by some of the biggest names around – Chesney’s, Dimplex, Flamerite and Gazco. All are available to view here on our website, and in store at our Birmingham based showroom. Our staff have all the know-how you need to come away with your ideal stove. Gas stoves are for those wanting an open flame, but wanting to avoid traditional wood burning stoves. Luckily, this swap in fuel doesn’t lead to a downturn in style. 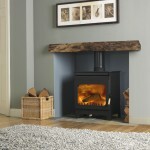 The range of gas stoves we stock here at York Fireplaces represent the best examples of the appliance. All of them offer a unique blend of style, build quality and heating power. You can check out our complete range of brands below, but if you would prefer to see these unique stoves in person, come on down to our Birmingham based showroom. Our staff are experts on all things fireplace and stove related, so they will have all the information you’ll need to make the best decision for you and your home. The traditional stove style, allowing you to fuel it however you please, be it wood, coal, or whatever else. When it comes to creating that “Hollywood” style romantic open flame, nothing else comes close. Here at York Fireplaces, we strive to only provide the best appliances we can, so the wood burning and multi fuel stoves below are the best you are likely to find anywhere on-line. To that end, we only stock the best brands – Burley, Chesney’s, Fireline and Stovax make quality products with unique designs. See for yourself below, or come to our Birmingham based showroom to see them in action. 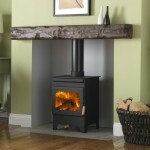 Our expert staff will be able to point you in the right direction, and ensure you leave with the best wood burning stove for you.